Avengers: Infinity War’s trailer has broken all the records to become the most watched trailer of all time, a title previously held by Stephen King’s IT. The hype building up to the release of Avengers: Infinity War’s trailer was unlike anything I had ever seen before. People were excited for Star Wars: The Last Jedi’s trailer, yet Marvel superfans seemed to be much more vocal about their eagerness to see Avengers: Infinity War’s very first trailer. Marvel seems to garner this sort of reaction from its fans. They just love the MCU and who can blame them, it just keeps on getting better and better and is constantly reinventing itself. So then the trailer dropped and people went mad for it. 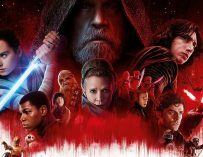 It was a very good trailer and I can totally see why people were getting so agitated over it, yet for me personally, I was more in admiration of and excited by Star Wars: The Last Jedi’s trailer. Perhaps it’s just because I am more of a Star Wars fanboy than a Marvel one. 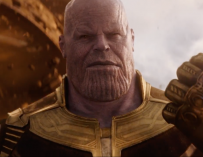 I also felt that Thanos’ head was a bit too oval-like and purple for my liking. Reminded me a bit of Oscar Isaac’s Apocalypse from X-Men: Apocalypse mixed with Homer Simpson. Thanos’ appearance didn’t scream out, “Fear me” for me. That said, I enjoyed the trailer which is now the most watched trailer of all time online. Check it out below. The numbers are simply staggering. Avengers: Infinity War’s trailer ended up getting 230 million views in just 24 hours. This makes it a record-breaking trailer. The only trailer to have got more views in such limited time was Stephen King’s IT, which got 197 million. Infinity War’s trailer smashed that trailer’s record in true Hulk style. 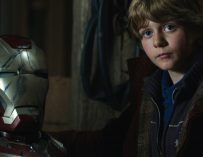 As I said before, there’s something very special about the MCU. Warner Bros.’ ongoing struggles with their DCEU films proves how difficult it really is to do what Marvel does. 2018 is looking like it’ll be a very good year for Marvel Studios (and in turn, Disney) with Black Panther, Avengers: Infinity War and Ant-Man and the Wasp all coming to cinemas. Incidentally, we still haven’t seen a trailer for Ant-Man and the Wasp yet. I’m looking forward to seeing what Paul Rudd does next with that character and seeing Evangeline Lilly’s first outing as the Wasp. 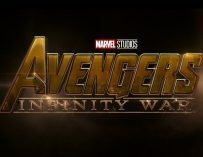 Avengers: Infinity War is coming to UK cinemas on April 27th, 2018. Are you one of the 230 million people who watched the trailer online?